Chicago investment firm CA Ventures paid $21 million for an assemblage of properties near Coral Gables, where it’s planning to build a student housing development. 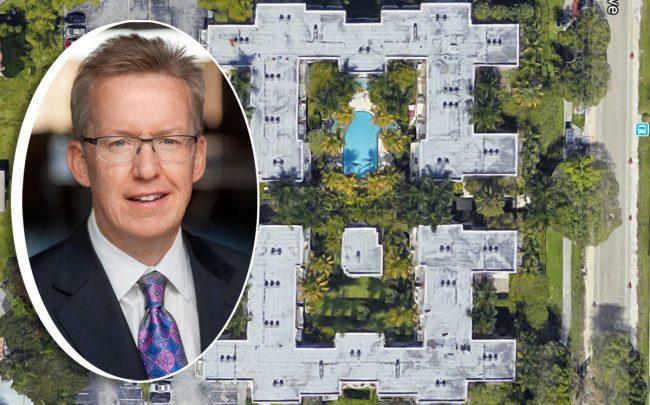 Property records show 5830 SW 57th Ave LLC paid $15 million in a bulk purchase for the Cloisters at the Gables, a 79-unit condo complex at 5810, 5830 and 5840 Southwest 57th Avenue. The CA Ventures affiliate also paid $6 million for the 10 duplex buildings surrounding the Cloisters, at 5768 and 5796 Southwest 58th Terrace; 5791, 5781, 5796, 5798, 5784, 5786 and 5762 Southwest 59th Street; and 5767, 5783 and 5795 Southwest 60th Street. The deals give CA Ventures control of the most of the block between Southwest 58th Avenue and Red Road, and Southwest 58th Terrace and 60th Street. The properties are about two blocks away from the University of Miami. The CA Ventures affiliate financed the deal with a $13.7 million loan from Iberiabank. Last year, CA Ventures proposed redeveloping the 4-acre property into a luxury student housing project called Uncommon Miami, the South Florida Business Journal reported. The development would have more than 200 apartments in a seven-story building with a parking garage, sun deck and pool, gym and amenity space. Katie Kazas, executive vice president of capital markets for CA Ventures, did not respond to a request for comment. The University of Miami is currently expanding its on-campus student housing with Centennial Village, a $260 million, multi-phase housing complex to replace the Stanford and Hecht residential dorms. UM also paid $8.84 million for the United Methodist Church site at 6500 Red Road last year.